Gather all of your ingredients and heat your grill to medium high. 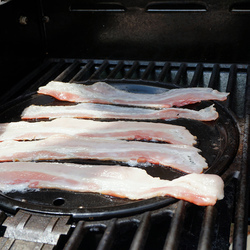 Put you bacon onto the griddle insert and cook bacon thoroughly. 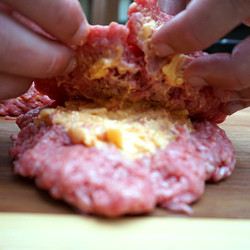 Using about a 1/4 lb of ground beef, make a patty with a small indention in the middle. 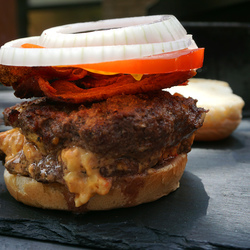 Place a scoop of pimento cheese into the indention. 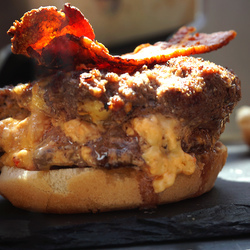 Now make another patty the same way and place it over the previous patty with the pimento cheese in it. Press the edges together. 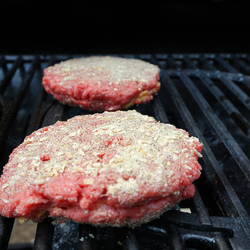 Now take your salt, pepper, minced onion, onion powder, and garlic powder and mix together to make a burger seasoning. 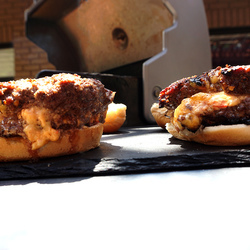 Heavily season both sides of the burgers. 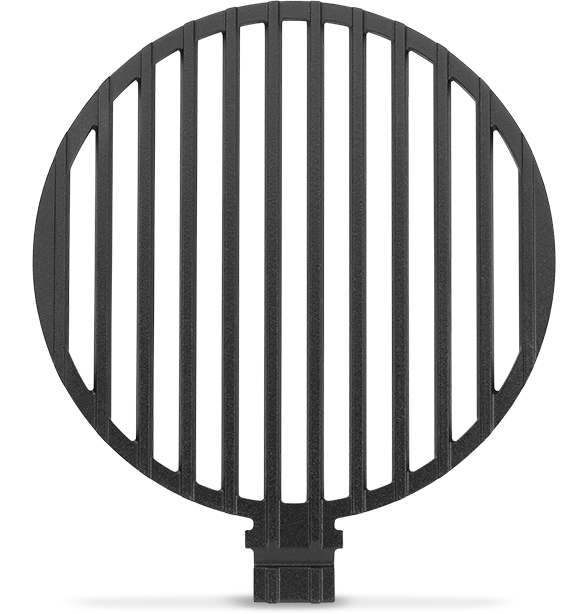 Place the burgers directly onto the grill grate. 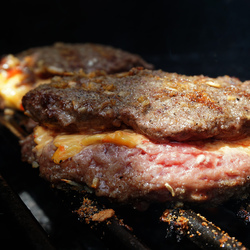 Once about halfway done, flip your burgers over and cook to your desired temperature. 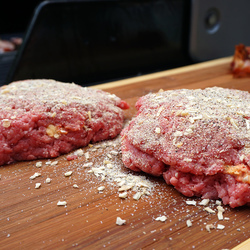 Remove the burgers from the grill and place them onto the bottom half of your buns. 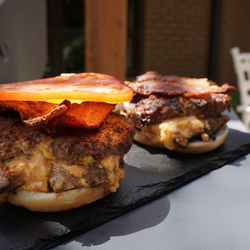 Place you bacon onto the burgers. 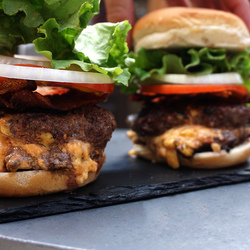 Place your tomato onto the burgers. Place your onion onto the burgers. 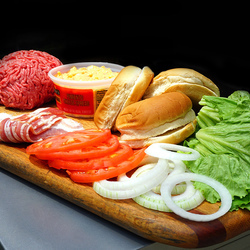 Top with lettuce, and if you like add any condiments you like with your burger. 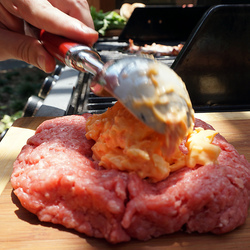 Then place the top bun onto the burger and enjoy!